Villa Sea Cliff 1 offers free wireless internet access. Time to Relax at Villa Sea Cliff Immerse yourself in the charms of this modern villa which certainly lives up to its name and is located in the unspoilt village of Esentepe. Furnished in a fresh, contemporary style throughout this newly built villa provides accommodation of the highest standard with everything you need for your longed for holiday. Free wireless internet access is also available. The jewel in the crown of this stunning location is undoubtedly the uninterrupted views of the translucent waters of the Mediterranean Sea stretching endlessly before your eyes. 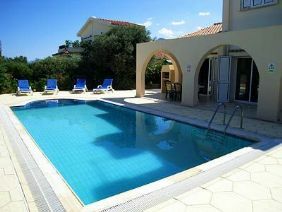 The spellbinding surroundings alone make this villa an ideal choice for your North Cyprus holiday. If you can drag your gaze away from the horizon you’ll be enamoured by Esentepe with its alluring beaches, olive groves and variety of historical attractions such as the iconic domed church of Antiphonitis. 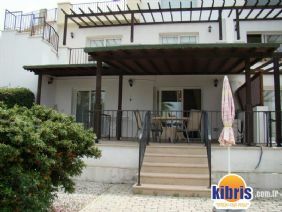 In addition, the popular town of Kyrenia with its shopping and seaport is only a short drive away.